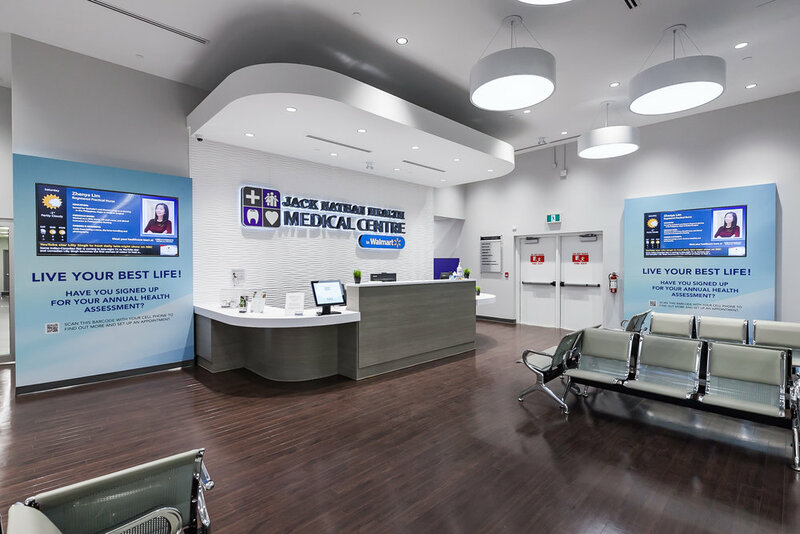 Jack Nathan Health, with 74 locations in Walmart stores in six provinces, has launched it newest and first-of-its-kind multi-disciplinary clinic in Vaughan, Ontario - part of its aggressive expansion plans for the future. George Barakat, CEO of Jack Nathan Health, said an elevated standard for the health care experience has arrived for Canadian consumers and the clinics across the country now see two million patients on an annual basis. “We are a medical management company and what we do is provide turnkey opportunities for physicians in Canada, in Mexico and coming up in China within the Walmart space,” said Barakat. The company says the latest location is the most expansive of the in-store concepts with a gamut of services under one roof like never seen before in the other locations. And there are plans for more stores of this nature. Jack Nathan Health, which began in 2006, is located in British Columbia, Alberta, Saskatchewan, Manitoba, Ontario and Quebec. Currently, the company has six clinics in Mexico and a signed deal in China. “The Mexico operation, we have an opportunity to expand to over 300 locations,” said Barakat. “We are planning on expanding and growing the footprint east of Quebec. At this point we are sorting out the next few locations with Walmart Canada. Really, the big push was on this Vaughan location. This is a first-of-its kind. This was kind of like a year and a half in the making. We all wanted to get this large format, health care centre under our belt, Walmart included, and capture some learnings and probably - and I would say probably as in most likely - move forward in that larger vertical because it provides way more opportunities for consumers to have a more customized approach and have a hand in their own healthy outcomes with regards to health care. The Vaughan location is just under 8,300 square feet offering patients access to high-quality practitioners from family medicine to physiotherapy, chiropractic, chronic pain management specialties, and even registered dietitian services and massage. A typical Walmart Jack Nathan Health centre ranges in size from 1,500 to 3,000 square feet. The Vaughan location also has an on-site blood laboratory, a comprehensive annual health assessment, same-day referrals, walk-in appointments, plus modern and comfortable waiting spaces, and the time-saving shop-while-you-wait paddle-paging service—a true one-stop shop. It has nine exam rooms for general practitioners. The design, flow and environment of the Vaughan location is really patient-centric. Quality light fixtures, wood floors, add to making it a welcoming place. Barakat said the intent is to roll this concept out to other locations in Canada. “Our mission is a revolution in health care,” he said. “In all of our clinics, all of our partners understand that creating a one-stop shop environment in health care is essential. Essential to make retail health the first point of contact to alleviate hospital holdups. In our clinics you have instant referrals. Patients are able to book in for an all-day fully comprehensive health review that includes an impressive gamut of tests and checkpoints that go well beyond the status-quo physical - count in ultrasounds, bone mineral density tests, fitness and stress testing, hearing, vision and lung function exams, nutrition analysis and more, as part of Jack Nathan’s Annual Health Assessment. For additional fees, patients may also choose to add on from a range of other screenings and tests such as a proactive genetic screening, pharmacogenomics testing, a liver health test, an echocardiogram, a men’s vitality test, or a skin health consultation. “Our tagline is it’s a revolution in health care but the reality is it’s a revolution in retail health care. 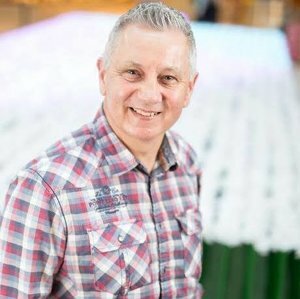 The consumer can do more with less time,” said Barakat, adding the company has a pager program for customers who don’t want to wait in the waiting room. They can walk around the Walmart store and get paged when they are ready to see their physician. The same Vaughan Walmart store also recently added an 18,000 square foot Planet Fitness location next to Jack Nathan Health to further encourage healthy living. If a medical practitioner suggested increased movement or exercise, that option is available only steps away.